FLAGSTAFF, AZ — Results of a poll released today by the Grand Canyon Trust show that Arizona voters strongly support the temporary ban on new uranium mining around the Grand Canyon. The poll, commissioned through bipartisan pollsters Fairbank, Maslin, Maullin, Metz & Associates (FM3) and Public Opinion Strategies, surveyed 600 registered Arizona voters. The Grand Canyon Trust commissioned the poll to survey voter attitudes about mining on public lands near Grand Canyon National Park. The statewide study found that three in five voters want to continue the existing ban on new uranium mining on public lands next to Grand Canyon National Park. A majority of Arizona voters now say that "more needs to be done" to protect the air, land, and water around the park — a marked increase since 2009. Nearly three-quarters (73 percent) of voters view outdoor recreation and tourism as more important to the economic future of Arizona than mining. Moreover, voters almost universally (96 percent) believe that keeping lands and water healthy in the state is critical both to the economy and to quality of life. This support is strong across political party, demographic group, and geography, with majority support in every major subgroup, including sportsmen and rural residents. “There are many things that Arizonans don't agree on, but the value of the Grand Canyon to the state’s economy and quality of life is not one of them. 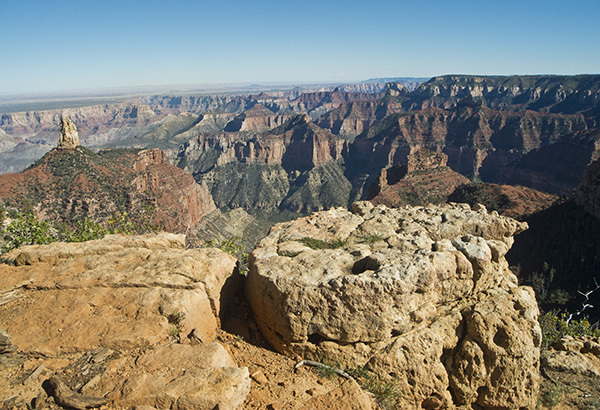 A healthy majority of Arizonans agree that uranium mining poses a threat to those values,” said Amber Reimondo, energy program director with the Grand Canyon Trust. “What’s clear from the data is that Democrats and Republicans alike want to see the Grand Canyon uranium mining ban remain intact,” said Lori Weigel, a partner at Public Opinion Strategies, a Republican polling firm. "Sportsmen continue to speak loud and clear: The area around the Grand Canyon is too valuable to mine for uranium," said Brad Powell, president of the Arizona Wildlife Federation.